Sam's unit has been charged with arresting Kelly. But if he can believe her, Kelly needs his help now to save some kidnapped Mage children and to stop a conspiracy with far-reaching implications. Threatened with being kicked off his SEAL unit if he does not follow his orders, Sam must risk everything... even his heart. 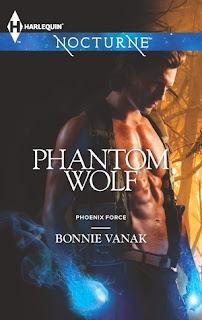 With a name like PHANTOM WOLF, I really was expecting a romantic suspense with one part of the couple being a werewolf. Instead I discovered a hot romantic suspense. between mages of two different factions. Now don't think that I was complaining because I very much enjoyed the ride. I would compare PHANTOM WOLF to Romeo and Juliet except that it isn't between warring families. When Shay and Kelly were younger, their love paid no attention to their differences in station until a tragedy drove them apart. Brought back together again to rescue some children, they find that the heat between them is hotter then ever but they can't manage to overcome past hurts and misunderstandings. I found it easy to empathize with both of the main characters even though I did just want to shake them both when they allow the prejudices of their classes interfere with their relationship. There was just enough tension and danger to keep me engrossed along with some hot love scenes that aren't too explicit. 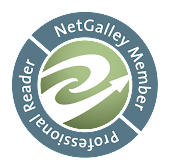 I do recommend it to my readers who enjoy a paranormal romantic suspense. I rate it a 3.5.